No matter how many studies point to breastfeeding as the healthiest choice for babies, or how many celebrities openly breastfeed, some people are still uncomfortable with nursing in public and breastfeeding rates in many states across the country are still too low. How can breastfeeding get more mainstream? A member of the Breastfeeding Task Force of Santa Clara, wants Google to create a “Google Doodle” to help promote and normalize breastfeeding. Breast pump brand Hygeia, is also on board to help fuel the crusade and blogger Joni Rae (aka the Kitchen Witch) has even created a possible graphic for Google. Hygeia and breastfeeding supporters hope that Google will showcase a breastfeeding Doodle during the 20th anniversary of World Breastfeeding Week, August 1 – 7, 2012. 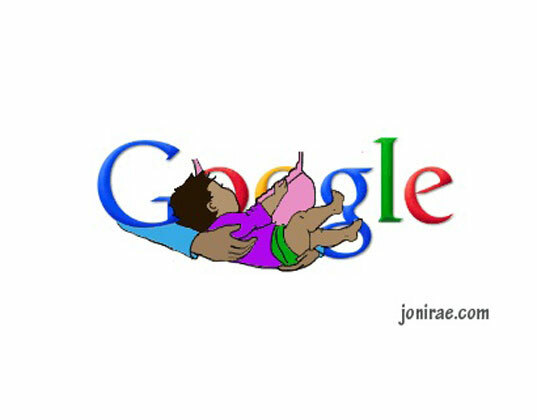 Besides the nursing graphic shown above, Dionna Ford of Code Name Mama, brainstormed several ideas including morphing the little “g” in Google into the blue and white international breastfeeding symbol. We, the breastfeeding support and promotion community, would be delighted to have a doodle for World Breastfeeding Week, 1-7 August 2012. World Breastfeeding Week is celebrated every year in over 176 countries around the world, and this year marks the 20th anniversary. Thanks for considering this proposal. No matter how many studies point to breastfeeding as the healthiest choice for babies, or how many celebrities openly breastfeed, some people are still uncomfortable with nursing in public and breastfeeding rates in many states across the country are still too low. How can breastfeeding get more mainstream? A member of the Breastfeeding Task Force of Santa Clara, wants Google to create a "Google Doodle" to help promote and normalize breastfeeding. Breast pump brand Hygeia, is also on board to help fuel the crusade and blogger Joni Rae (aka the Kitchen Witch) has even created a possible graphic for Google.